Help arrives in the form of YDM2 6478. We are at the rear of our train (86 Pass.) 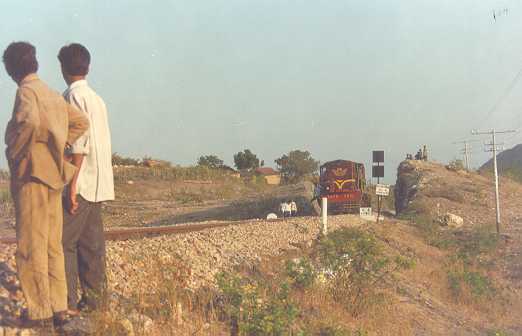 and the diesel loco is passing thru the outcropping.